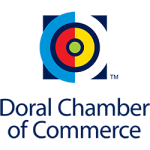 Emmanuel “Manny” Sarmiento is the CEO and Co-Founder of the Doral Chamber of Commerce. He is also CEO of New Media, New Marketing, Inc., an Internet and Social Media Marketing consulting, outsourcing and education company, since 2009. Manny has created and implemented Entrepreneurship and Business Education programs that help develop the skills of business owners and executives. He teaches Business and Marketing skills to entrepreneurs to help create prosperity in their business and in their lives. He has been teaching Web Optimization, Search Engine Optimization (SEO), Social Media, Marketing, WordPress and other marketing and business skills since 2007, and has operated businesses in Doral, Florida, since 2005, with great success and dedication to helping others. Manny attended Miami Dade College and Florida International University. With over 500 Social Media, Internet Marketing courses, marketing workshops and seminars, including the Social media University and the Certified Social Media Marketing Specialist(TM) program, Manny has become the Master of Social Media Marketing training, education and implementation.